This wide-ranging diary throws new light on eighteenth-century English country life and work. 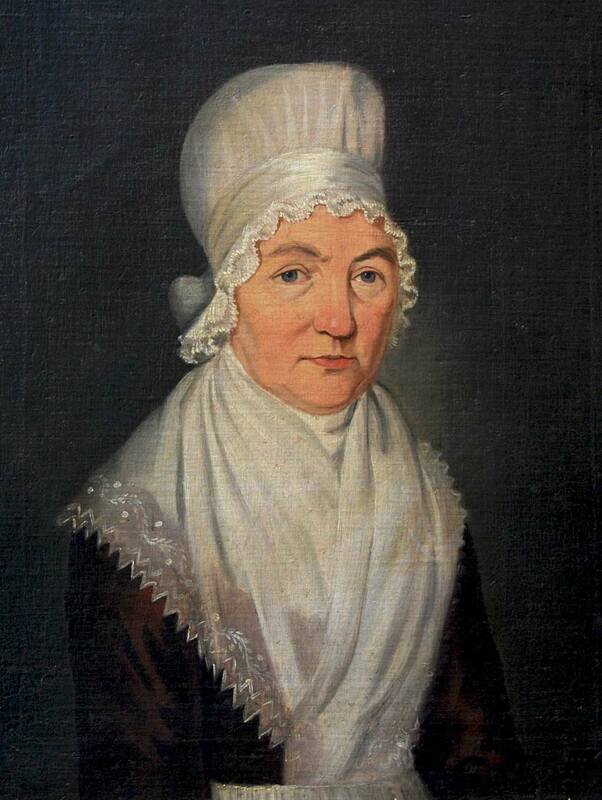 Mary Hardy (1733–1809) was the wife of a Norfolk farmer, maltster and brewer. The diary tracks developments in her personal life and in the family business. An observant, methodical woman, she covers the lives of the men and women who worked for them with meticulous precision. But it is also an outward-looking record. One of its strengths lies in its charting, often in minute detail, of the many pressures and forces of change in wider society. The complete Diary text, published by Burnham Press in April 2013, brings out the full scope of the diarist’s coverage. 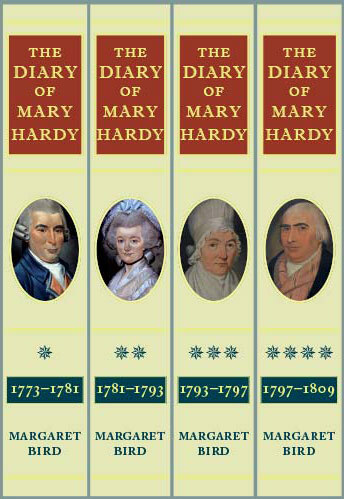 The FRONT COVERS of the complete series of Mary Hardy volumes are pictured on the Home page. You can buy the books from this website or from Amazon.co.uk. Mary Hardy is pictured at the banner (top) aged 51, when she was dressed for the playhouse. When she was painted again aged 64 (above) her lifestyle had changed completely. While devout she was tolerant in religious matters, being eager to worship in a variety of churches, chapels and cottage meetings. The four-volume Diary of Mary Hardy 1773–1809 is an abridged edition and gives us the text of two-thirds of the diarist’s writing. The third volume, Diary 3, also contains the full text 1793–1797 of the daily diary written by her young nephew Henry Raven (1777–1825). He lived with the Hardy family while serving as their brewery apprentice. At 73,000 words—in addition to his aunt’s 500,000—it is an extraordinary testament to the toil of the men he worked alongside. The four hardback volumes contain 1300 illustrations, and more than 460 pages of index. The very full editorial notes in the margins, right beside the daily entries, guide the reader and ensure that the text is accessible to a modern audience. The other one-third of Mary Hardy’s diary was also published in April 2013, as The Remaining Diary of Mary Hardy. A paperback, it is pure transcription, with almost no editorial additions. It serves as a supplement to the other four volumes, filling in the missing days. Until now only brief extracts from Mary Hardy’s record had appeared, in 1957 and 1968, edited by Basil Cozens-Hardy. 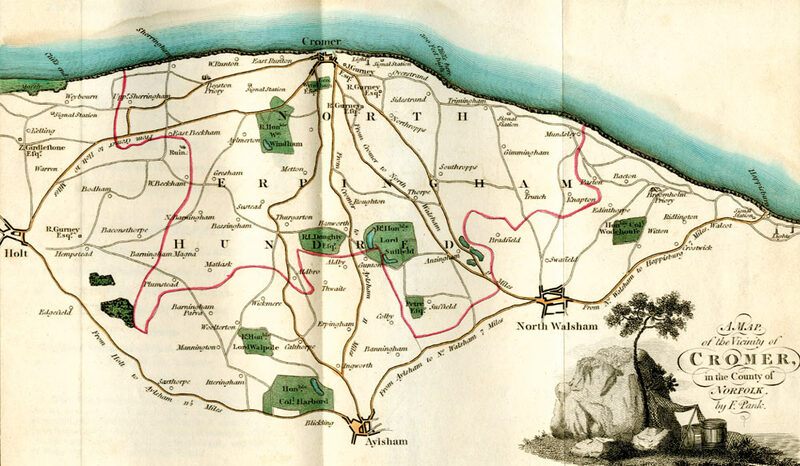 Mary Hardy and Henry Raven wrote in the small village of Letheringsett, near Holt. She had begun her diary at Coltishall, on the reed-fringed waterways of the Norfolk Broads seen at the banner. Henry and his aunt kept track of the men who journeyed over 100 miles a week by cart to deliver the beer while also carrying out all their other duties. Neither Mary Hardy nor Henry Raven wrote with posterity in mind. While logging the activities of the household and workforce they also let many additional items creep in. We are made aware of illness, debt, politics and war—and occasionally riot—as the backdrop to their lives. The Diary of Mary Hardy has received warm praise from reviewers. In one review, by Professor G.M. Ditchfield, it is judged “One of the most consistent, enduring and revealing primary sources of its period”. “Behind the emotional reticence there is a day-by-day description of rural life, all the more valuable for its compilation by that comparative rarity, a female diarist deeply involved in the world of work, both as toiler and as employer. Another reviewer sees it as “A wonderful view of an upwardly mobile ‘middling family'”. The diary of Mary Hardy provides “a revealing insight into the powerful forces at work in accelerating economic and social change”. You can read more under Diary Reviews. You can explore these pages to learn about the 30-year Mary Hardy project. The publishers’ page describes just some of the readers who will find the books absorbing. The diary will appeal to the general reader, to family and local historians, the specialist, and to teachers and researchers. To peek inside, see the video published in May 2013 by an American reader, Kelly McDonald of Vermont. Her tribute to the Diary’s appeal, it lasts a little over a minute on YouTube. 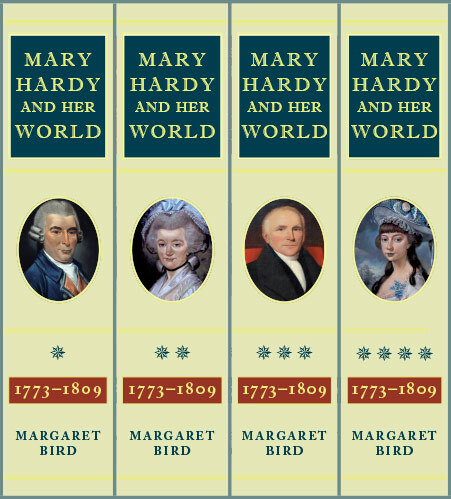 The editor Margaret Bird has nearly finished work on four volumes of commentary, Mary Hardy and her World 1773–1809. Indexing of all four, with their 2800 pages, began in February 2019. Our books are available through selected bookshops.